Why YSRCP abstained from voting at RS Deputy Chairman meeting? Sri Ramachandra Murthy August 10, 2018 09:00 IST Why YSRCP abstained from voting at RS Deputy Chairman meeting? New Delhi sources stated that in a quick turnaround of events, YSR Congress party (YSRCP) decided to abstain from voting in the election for the post of Rajya Sabha Deputy Chairman. Meanwhile when speaking to media here ahead of the voting, YSRCP Rajya Sabha MP Vijaya Sai Reddy clarified that the party was neither supporting NDA nominee Harivanshnor joint opposition candidate B K Hariprasad. Accordingly Vijaya Sai Reddy said that the Bharatiya Janata Party (BJP), which promised commitment to the development of Andhra Pradesh, cheated the people of the State. Moreover he also recalled that former Prime Minister Manmohan Singh verbally mentioned the Special Category Status (SCS) promise, but did not include it in the provisions under the Andhra Pradesh State Reorganization Act. 2014. Moreover on the other said, the YSRCP leader criticized Telugu Desam Party for colluding with the Congress and the BJP. Reports added that the party wishes to elect all constitutional positions, including both the President and the Vice-presidents unanimously. 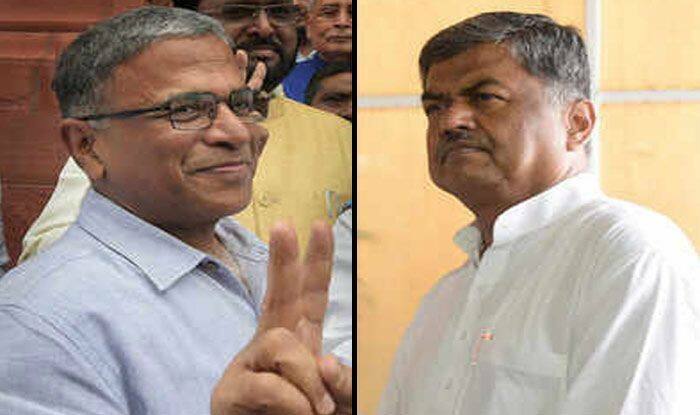 Further JDU's Harivansh Narayan Singh was elected the Rajya Sabha Deputy Chairperson, winning the vote with 125 votes as against 105 of Opposition candidate B.K. Hariprasad.